Donald Trump hasn’t always been a politician, nor has he always been a friend of Steve Wynn, but that isn’t stopping the 2016 GOP frontrunner from seeking out advice from his fellow casino billionaire on running his presidential campaign. This week the Fox Business Network revealed the two businessmen are actively working together to promote Trump’s cause: winning the Republican Party nomination and ultimately the White House. In mid-August, Trump fired political advisor Roger Stone, though Stone claimed he had quit. Instead of looking to a political advisor with experience running campaigns, Trump has continued his unconventional ways by turning to a businessman who has never ran for or held political office, though Wynn is of course no stranger to national politics. And to advise someone as outspoken and set in his or her ways as Trump, it takes another person who’s equally tenacious and unshakable, and that’s precisely what he’s getting in Steve Wynn. For those hoping The Donald might be the right candidate to promote and expand Internet poker, it should be noted that Wynn has largely been anti-iGaming over the years and has even aligned with Sheldon Adelson, the casino tycoon who’s pushing for a ban on online gambling. Though in 2011 Wynn seemed to hint he was in favor of changing Internet regulations as it relates to iPoker, he changed his tune this year. Where Adelson’s apprehensions for Internet gambling are allegedly based on societal and moral grounds, Wynn’s are economical. 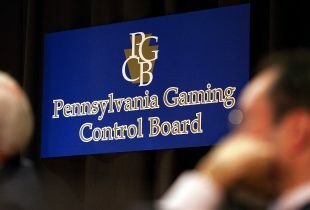 “I believe Internet gaming is not going to happen in any way… We’ll get blamed if anything goes wrong,” Wynn said in May. Meanwhile, Trump supports online poker legislation, telling Forbes in 2011 “this has to happen” and that the United States is missing out on revenues Internet gambling could provide. 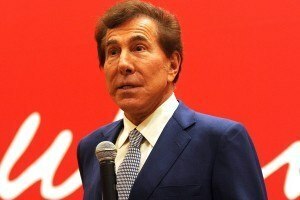 However, since Wynn isn’t likely chatting with Trump about Internet gambling, the Republican poll leader is presumably still in favor of ending online card game prohibition on the federal level. Wynn probably isn’t going to convince Trump to join he and Adelson’s crusade on online poker, but it seems he did persuade him to sign the Republican National Committee’s “loyalty pledge” that says he won’t run as a third-party candidate should he end up not winning the GOP ticket. “I’m aware that he suggested to Mr. Trump that a third-party run would be unwise,” Michael Weaver, Wynn’s spokesperson told Fox Business. While he’s now “loyal” to not running third party, conservatives must determine whether Trump will remain loyal to conservative principals should he become the next president of the United States. No voter who is following Donald Trumps race to the White House, cares if his hair is real, his political party designation in the past, his money or ‘Gotcha’ games from TV anchors. All they care about is what he can do to make ‘America Great Again’. The man is open, tells the truth and reciprocates when somebody attacks him. President Obama and the pen pusher in Washington are concerned more about power, wealth and their own egocentric desires than they do about our country and its citizens, as does the top Republicans. Trump has gained impetus that can no longer be stopped, other than some secret conspiracy between the two clashing parties. As a runner up, for me its Senator Ted Cruz, a Tea Party leader who wants to redirect the twisted path this management is pressing us into more spending and bloated government. When the Pope arrives from Vatican City at the end of the month, I am sure he is going to enter the affray on immigration? I don’t consider him to have any real influence of the flow of Americans people’s thinking about this massive migration/immigration problem. The nation is angry and frustrated and their pleading, has gone unanswered and this religious icon will do nothing to smooth over having no trust in either political party, especially the highest hierarchy. You can be assured the Pope will bring up the Birthright Citizenship that has still not been truly resolved? There is abuse of pregnant women and new babies arriving from all over the world saddling the US taxpayer with the cost of supporting them. It seems to be a gray area of that part of 14 amendments, that guarantee’s the mother of an ‘Anchor Baby’ can stay permanently. It is linked with the matter of CHAIN MIGRATION, which allows the entry of other family members and further monetary problems for taxpayers. Then we have non-tourist who have a temporary visa, with 40 percent not bothering to leave. These are millions of jobs who should be returned to citizens and lawful residents. Repealing Birthright Citizenship may not go anywhere, but we still have a national deterrent if mandated. We cannot keep absorbing mostly third world countries problems, when out Vets suffer, the elderly and a proportion of the population living in poverty. Fully operational MANDATED E-Verify can combat the illegal immigration in the workplace. 1. It cannot be optional anymore. 2. It must have the necessary ICE agents to cover the US. 3. Every person in the work place must be checked; both new hires and those who are established in any workplace. 4. Rewarding informants and whistle Blowers, who have legitimate information. 5. E-Verify must be structured with harsh punishment with deportation. 6. for employers; suspension of business license; heavy fines and possible confiscation of business asset and prison. In replacement as foreigners start leaving in droves, we will require a GUEST WORKER program, which each individual must apply for a labor visa. In compliance with the law, they must leave America when their visa expires or when caught will be deported. Between the two parties they have created the nastiest recession since the Great Depression; present administration cutting $700 Billion from Medicare trying to cover millions of people with health care and a percentage of people who have no place in our society after illegally entering our sovereign nation. Prior to the restructuring of seats with the majority of Conservatives, Democratic Administration was on the way to ruining our privacy rights by spying on every phone call, email and fax communication. Our freedoms are still in danger of extinction, along with our Constitutional rights in the First, Second, Fourth, and additional amendments. Donald Trump is the ONLY one who can stop this power grab destined to tear the heart out of America, leaving us with little but the clothes on our backs? Trump represents the best, perhaps the only, hope for our nation. We have to stand up and fight this deplorable power grab. If we do not, we’re destined for another 3 years under Hillary Clinton or Jeb Bush of making themselves financially comfortable, while Americans lose more jobs to foreigners and a wages slump. Trump addresses America’s best interests at heart—just as one of the few politician that still believes in our fundamental freedoms as set forth in the Constitution. Trump is demonstrating the greatest allegiance of party voters in the history of America; showing their true Patriot colors, and we must have that willingness to stand and fight against the status Que. Voters must do this. Democrats and the GOP must be stopped with their power grab ideal logy, with Obama specifically using executive orders to grant unprecedented, unconstitutional amnesty to illegal aliens. You know all too well that we cannot count on Congress or the Leftist mainstream media. Donald Trump does not solicit donations from super PACs or deep-pocketed lobbyists and this reality is, this is huge advantage–taking on the Establishment who cozy up to the US Chamber of Commerce who has parted with $1,500,000,000 from employer donations, who want illegal cheap labor to still keep pouring in through areas of non-existent border fencing. On the other hand Democrat, with Obama leading the charge to get as many voters on the election rolls, illegal or legal. They don’t care; otherwise the Left side wouldn’t be putting up such a fight to kill the requirement of showing an official ID to vote.